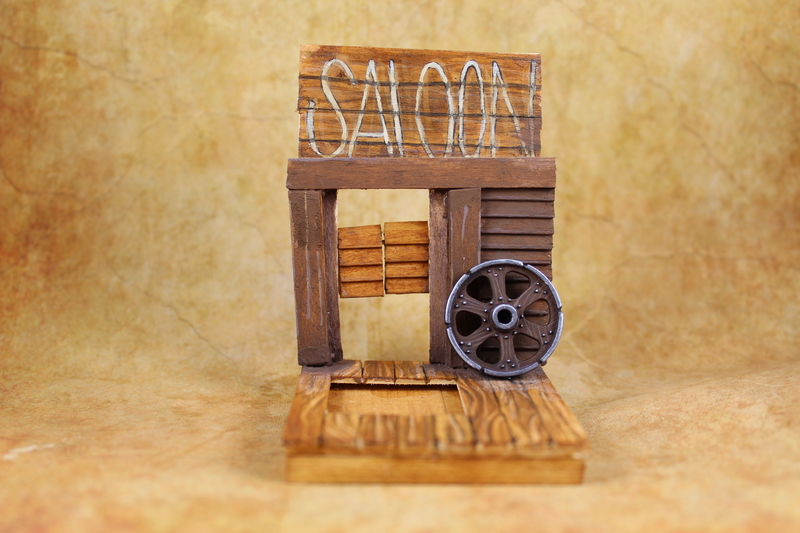 My partner is on the forums, and he has a blog, so I’m only posting the finished pics here until he receives them. I hope he loves her!! I really enjoyed painting this mini, and this is the most scratch-building I’ve ever done. It was a really cool experience.. I learned a LOT! 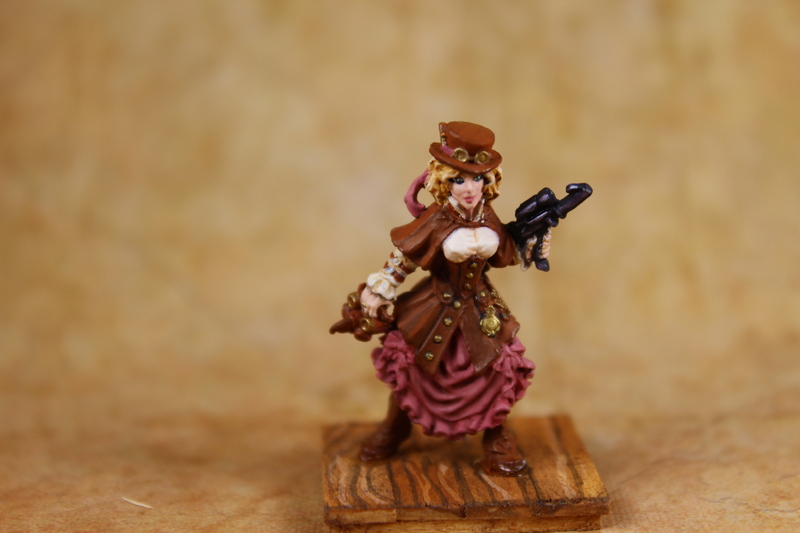 So, I present to you Jo, the steampunk Hunter! 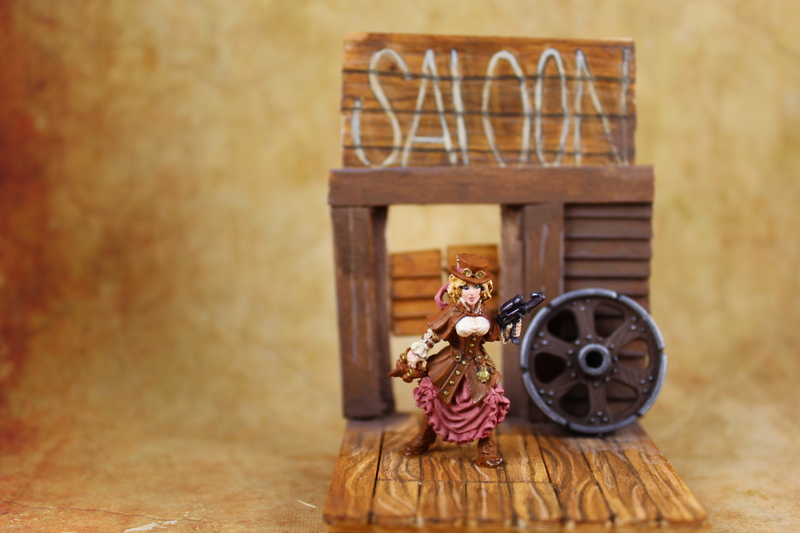 I think her little dilapidated saloon works well. And I got to use my Hangar18 backdrops that I love so much!!! 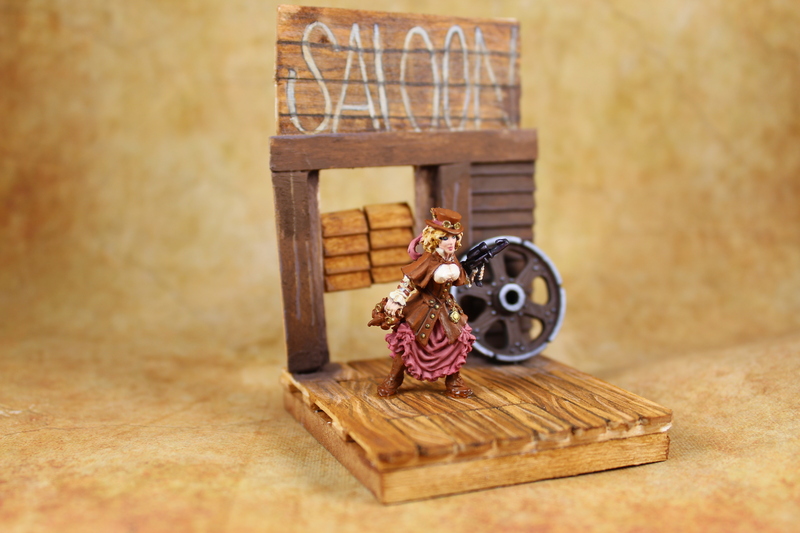 I made her removable from the base so my partner could use her in a game if he was so inclined. That was not as difficult as I thought it would be actually! … Now I have heartburn.. I need MOAR BUBBLEWRAP! !